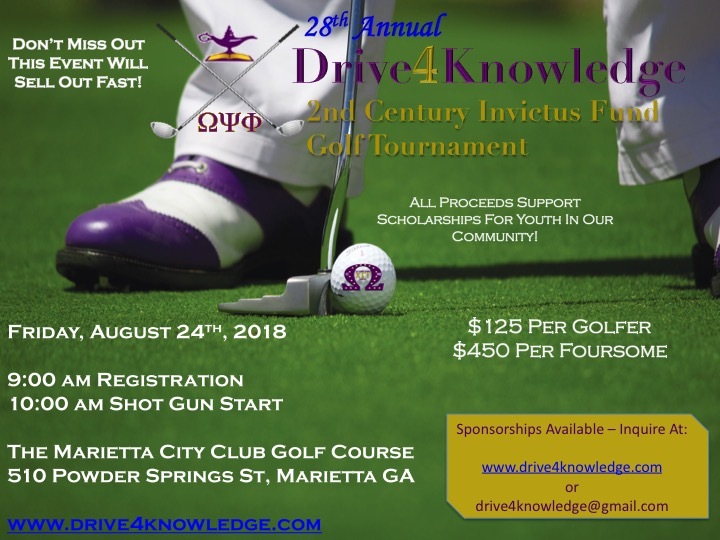 The brothers of Chi Gamma Gamma Chapter invite you to their 28th annual “Drive 4 Knowledge” Golf Tournament. “It’s More Than Golf” as the tournament serves as a fundraiser for scholarships. Register to be a golfer or sponsor.